This is a sponsored post. I am a Shop Your Way blogger and all opinions are my own. Have you heard about the Get Advice service feature from Shop Your Way? It's new and it's a great way to get advice from one place while leveraging the integrated retail options at Sears. It tapes into the online and mobile shopping channels that members already use in order to virtually open the doors to Sears across the country. You'll get access to the knowledge and expertise of thousands of associates! Need advice about the best baby crib options or how to replace your refrigerator air filter? Look no further because that's what you can ask and store associates from around the country. 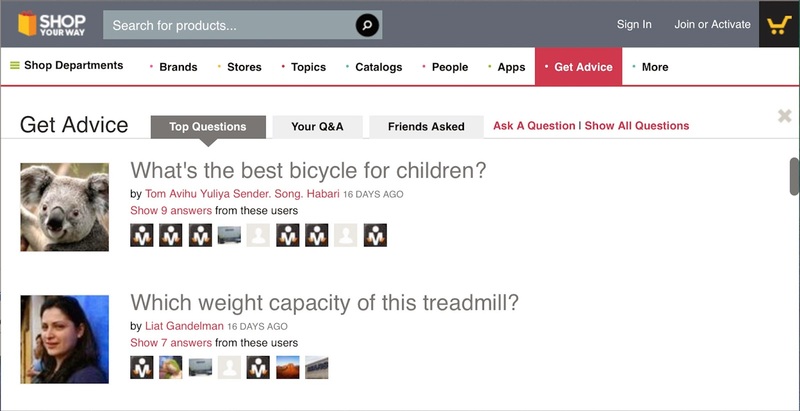 They will post a reply by leveraging the same knowledge and expertise they use to help members in the store. The beautiful thing is that you can do this all from your own home or even while you're on the go! How cool is it to be able to get advice directly from the associates you would seek help from in the store? o Members can go to ShopYourWay.com and tap “Ask a Question” in the Get Advice section or directly from a shopyourway.com product page. o They can then type their question and see if an answer pops up while they type. o If not, they can simply follow the prompts to post their question. o Once the question is submitted, the answers start flowing in from store associates across the country. Being able to ask a question can help save you money because you are less likely to make a mistake and purchase a wrong item plus you won't waste your time!